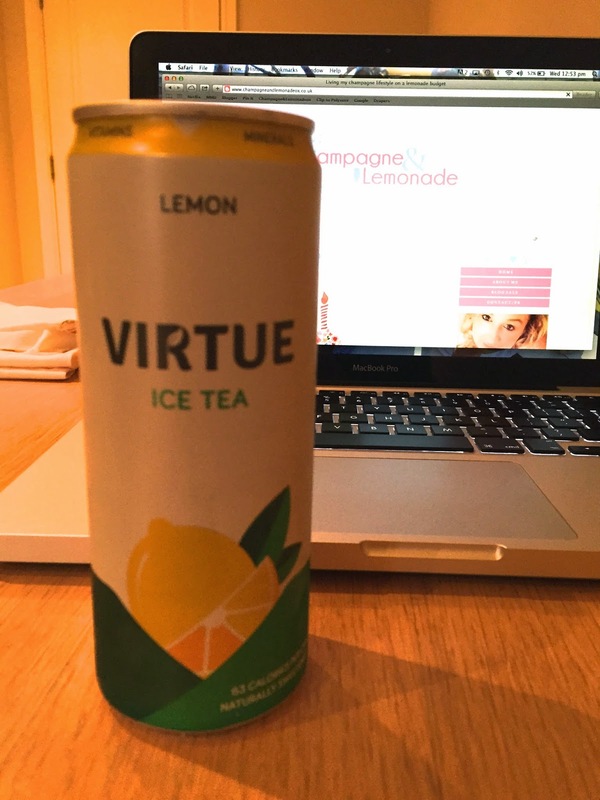 Virtue where kind enough to send us some of their cans of ice tea for the #HullBloggers meet up. I had a strawberry & peach flavoured one which I drank as soon as (peach ice tea is my fave.) and I have had this one stashed in my fridge for ages ! I decided to treat myself the other day and drink it. These drinks are so yummy. I love love love ice tea and I'm always up for trying out different brands of them to find my fave one. I love that is can is only 63 calories! Its quiet sweet and tastes really yummy so you would think it would be more it is sweetened naturally and have nothing artificial within it. Im not sure how much the cost individually a can but you can buy a pack of 24 on amazon for £24 (delivered) Here! I think thats a pretty good price considering I would usually pay that in a shop if I where to pick up a drink. I would defiantly recommend if you are an ice tea fan like me :).